On 2 April 2009 in high school No. 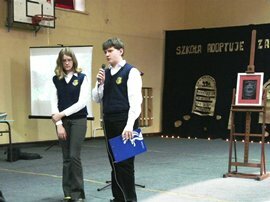 104 The Lasting Memory Foundation participated in ceremony of taking the local Jewish cemetery in Warsaw- Radość under the protection of school. 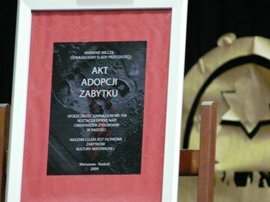 Among the participants were: the representatives of Culture Department for Warsaw- Wawer District , the Center for European Citizenship and Polish Society of the Righteous Among the Nations of the World. 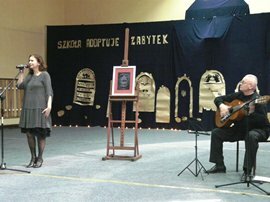 Students prepared the artistic performance including Jewish poetry and songs. The Lasting Memory Foundation recalled the names of Poles who rescued Jews during the occupation. The guests had a chance to learn about different kinds of Jewish cemetery symbols. Students presented the Monument Adoption Act. 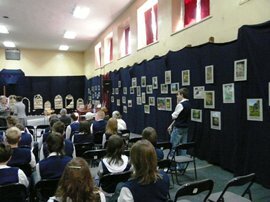 The ceremony included an exhibition of photographs devoted to Jewish cemeteries and collected by The Lasting Memory Foundation.